Did you ever swim in the ocean, get a mouthful of seawater, and think, “Yum, I wish my pool at home tasted like this”? Yeah, probably not. Lucky for you and your taste buds, that’s not what a saltwater pool is. My mom is big on interior design, and her most recent project is redoing the tile on her kitchen wall. It wasn’t old-fashioned or broken, but she likes everything to be up-to-date and looking its best. 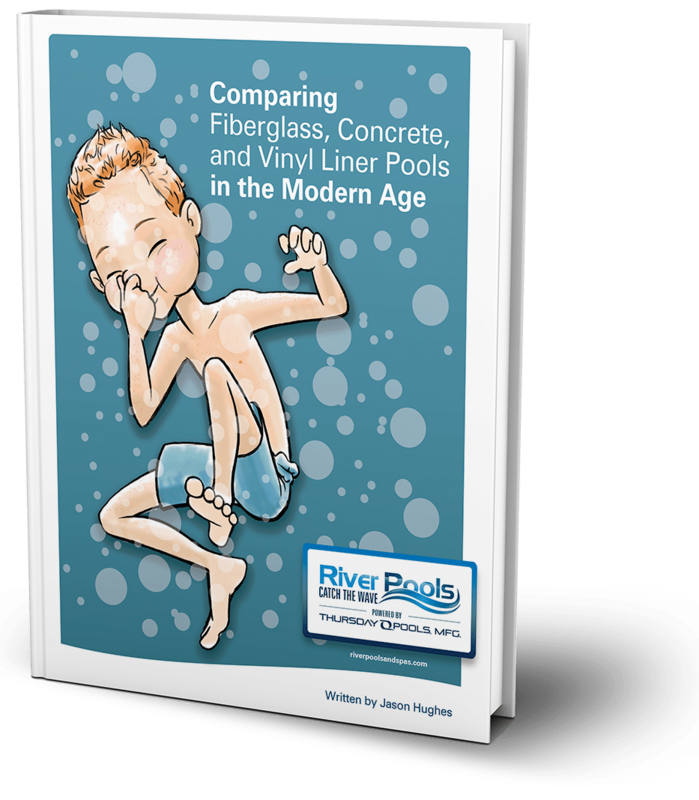 In the same way, for fiberglass pools, tile is a matter of taste, not necessity. Here at River Pools, it’s important to us that you get the pool you want. Some customers love tile, and we’re happy to put it on. Others choose to save the money toward other features and accessories. There’s no wrong option! The following is a guest post by Conner Flynn from Gadget Review. Why are there so many brands of pool equipment? And don't even get me started on all their products. It can feel overwhelming, especially if you're new to the pool scene. We're here for you. Here at River Pools, we don't stop at just manufacturing and installing fiberglass pools. We're enthusiastic about educating consumers just like you in order to make your pool life easier. Welcome to our comparison of Pentair vs. Jandy filters, Part 3! There are a lot of brands and even more models in the pool equipment world. It can feel overwhelming, especially if you're a new pool owner. Fear not! Here at River Pools, we enjoy making the pool-owning life easy for you. Welcome to our comparison of Pentair vs. Jandy filters, Part 2! Is Pentair Clean & Clear Plus or Jandy CV Cartridge Filter Best? How many brands can there possibly be in the pool equipment industry? A lot, as it happens. Fortunately, you have us on your side. Pentair and Jandy are two big names you'll see when you're researching pumps and filters for your inground pool. It can be tough to see the differences in their products, especially if you're new to the pool scene. Worry not! Welcome to our guide comparing Pentair's and Jandy's similar cartridge pool filters. What Does a Pool Filter's Filtration Area Mean? Story time! Once upon a time, in Warsaw, VA, I was researching all the different types of pool filters. I started with cartridge filters, and they made sense. When the spec sheet said, "Effective filtration area," it meant it. The filter took care of however many square feet of surface area the pool had. It filtered that area. Got it. The D.E. and sand filter spec sheets ruined my day. When the "effective filtration area" was 6 square feet, the filter processed 57,000 gallons of water in 8 hours. Obviously it's not for the world's cleanest bathtub, so what gives? What is the filtration area supposed to mean? Not to worry, my friends. I enjoy research, and I'm here to help.